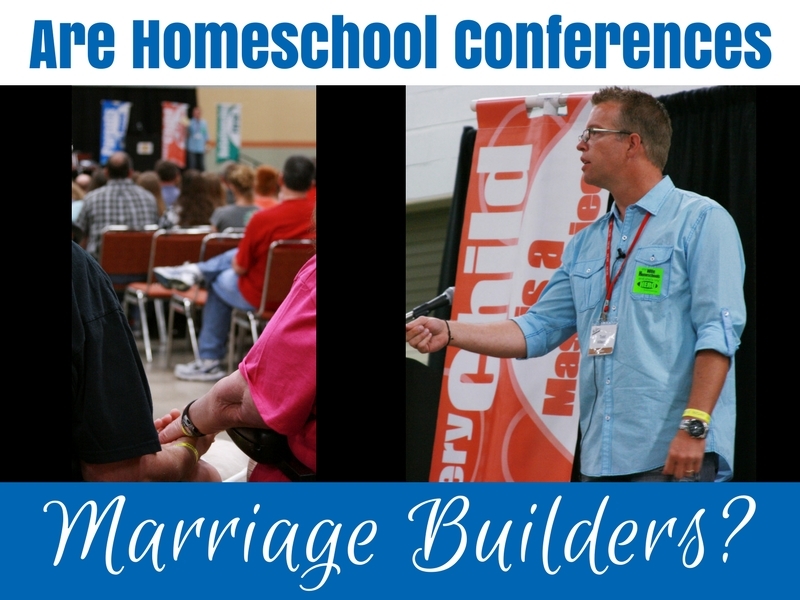 Are Homeschool Conferences Marriage Builders? If you were at our 2013 Homeschool Iowa Conference and heard Todd Wilson speak, you know he's a very funny guy. Ha! No wonder this guy is the author of Help! I'm Married to a Homeschooling Mom. You know, Todd might have been looking at the photo taken at our 2013 conference (see header image) when he penned this comic – except that, instead of a speaker presenting the many reasons that algebra can be fun, the speaker framed above the couple's clasped hands was ... Todd Wilson. And there was a reason that couple was holding hands. They were soaking in the words that were touching their minds and hearts. Beyond the edifying workshops on topics well beyond teaching algebra, there are so many other ways that this can happen. - Sharing a meal, perhaps with another homeschooling couple, and enjoying fellowship. - Making joint excursions through the exhibit hall to collaborate on purchases. - Spending some break time together on the hotel terrace. - Comparing reactions to what you're seeing and hearing. In fact, many homeschoolers refer to couples attending homeschool conferences as weekend dates! And the exciting news is that one of our most popular keynote speakers, Todd Wilson, will be featured at this year's conference. Join us and soak in the experience yourselves!